An excerpt from journalist Nikhila Henry’s book ‘The Ferment’, which charts social and political youth movements in India. The year was 2012; the venue, Osmania University (OU), Hyderabad. The occasion, a Beef Festival; the first in the history of the university set up in 1918 by the Seventh Nizam of Hyderabad, Nawab Osman Ali Khan. 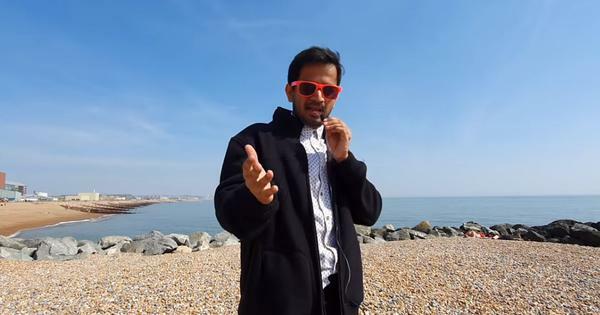 Sharath Naliganti, a Madiga student of Osmania University who gave himself the middle name Chamar rapped the song he wrote, Beef Anthem: “Beef is an international brand; Mohammed-Jesus, Marx-Ambedkar, Newton-Einstein, Stephen Hawking, Martin Luther-Malcom X, Stalin-Lenin, Lincoln-Che Guevara, Paul Rapson-Michael Jackson. They were not pappu (dal) party; not dal (lentil) eaters but beef eaters,” he said. 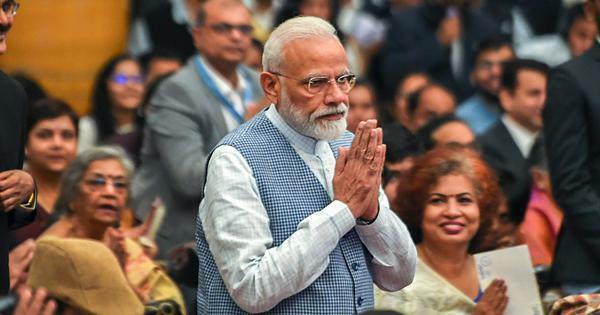 On the background of the podium behind him the pinned cut outs of Ambedkar, Jyotirao Phule, Savitribai Phule, Karl Marx, and Lenin stayed solemn. Sharath attributed many qualities – fantastic, aesthetic, favourite, native, delicious, precious – to the meat in Beef Anthem. 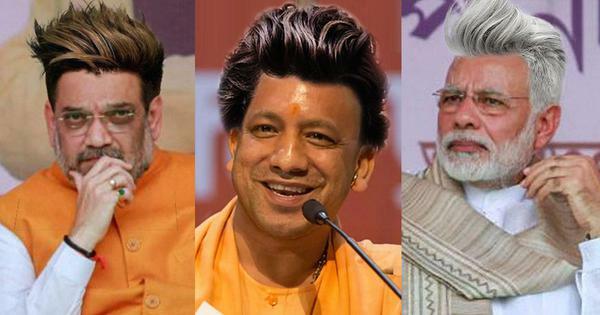 The song and OU’s beef festival started a media-directed discourse on cow meat five years before the BJP-led National Democratic Alliance banned cattle slaughter in 2017. On televised debates in April 2012, caste Hindus called the festival an attempt to hurt their religious sentiment and liberal democrats called it an unnecessary attempt to incite caste division in India. ABVP student leaders attacked participants of the festival. This was before Mohammed Akhlaq of Dadri in Uttar Pradesh was lynched for storing meat suspected to be beef in his fridge. On September 29, 2015, one day after Akhlaq was killed, I asked Sharath why he wrote the beef anthem. He narrated a story of his childhood. Every Sunday his family in Telangana’s Karimnagar got back from church as early as they could, ready for a sumptuous lunch. Pedda kura (cow meat) cooked into a thick gravy was a special meat set aside for the day. 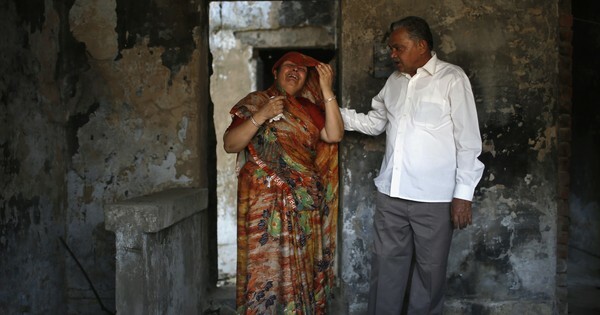 His parents, who were stone crushers in quarries fed him beef, Sharath told me. “Tomorrow can I declare potatoes holy tubers and call those who eat them unholy ruffians?” Sharath asked, sarcastically hinting at cultural oligarchies that dictated terms to the underprivileged in India, while benefitting from an economy dependent on beef (including buffalo meat) and veal exports of 2.4 million tonnes (2015); the largest export from countries across the globe. In Osmania, at beef festivals (2012 and 2015) and in UoH, at beef stalls set up by Dalit students during the annual campus festival called “Sukoon”, underprivileged youth vied for equal participation in the Indian public sphere. In 2013, attempting to rewrite history, young leaders conducted an “Asura” festival in the English and Foreign Languages University (EFLU), Hyderabad explaining to the nation that Asuras represented Dravidian Dalit rulers Narakasura, Mahabali, Holika, Surpanakha, and others who were killed by caste Hindu Aryans. In Una and Ahmedabad of Gujarat, youth left dead rotting cows in front of government offices to protest the attack by cow vigilantes on five Dalits leather workers in July 2016. In debates, organised in Maharashtra, Hyderabad, and Chennai the young brigade asked why they should stick to caste-imposed professions including scavenging and burial of dead bodies. They questioned why their memories, history, and culture should remain sequestered to protect the interests of others. Demolishing myths and ignoring stigma, they vehemently laid claim to culture, thereby denting existing societal thinking. And the country’s changing mediascape contributed to the change in the course of normative history. When Ravichandran Bhadran founded a YouTube channel, “Dalit Camera: Through an Untouchable’s Eyes”, in 2011, India’s telecom boom had just begun. From 2010 to 2016 the share of internet users in India increased from 8.1 crore to 43.2 crore. By 2016, the overall internet penetration in urban areas and rural areas reached 59 per cent and 17 per cent respectively. In this time, Dalit Camera recorded a range of stories which exposed discrimination and filmed articulations of Dalit-Bahujan politics which the media mostly ignored. In a span of six years, the 34-year-old PhD scholar’s lens had reached almost all protest spots where marginalised groups demanded social change. The most striking aspect of DC (as the channel is popularly known) was that its narrative was drastically different from those created by both mainstream and not-for-profit (NGO) media outlets of the time. Like the Bhim Army, Dalit Camera represented assertion rather than lamentation. In a home located close to the serene hills of Kotagiri in the picturesque Nilgiri district of Tamil Nadu, Ravichandran fumed every time he saw a feature film or documentary made on the 12,700 manual scavengers by dominant caste filmmakers. On his Facebook page, Ravi had adopted the surname Chakkilian, a caste name associated with Arundhatiyars who were forced into caste-based labour including manual scavenging and cobbling. He had seen agitations of tough young Arundhatiyars who poured excreta on themselves demanding the end of manual scavenging. For him each protest was an expression of a rising political public, the working of which the existing media narratives did not explore or poorly represented. Dalit Camera was a successful attempt at recording the voice of this public. As DC grew in viewership, many online portals which exclusively carried works of individuals from historically deprived communities started becoming visible. An online news and information portal “Round Table India: For an Informed Ambedkar Age” (RTI), founded in 2009, soon gained popularity. On RTI, in succinct writing, Dalit-Bahujan people connected with each other, “facilitating debates and discussions of interest to them”. Close on RTI’s heels, Savari website where Adivasi, Bahujan, and Dalit women shared thoughts about their lives and the society they live in, called its collection of writing, “perspectives from our history, and our dreams for the future”. When hitherto discarded narratives thrived online, the country’s culture manufacturers, like its Rs 1,15,700 crore (2015) Media and Entertainment Sector, acknowledged assertions of the deprived. This was especially true after Rohith Vemula’s death, when big media heavily borrowed narratives from the online public. On ground, they were the ones who could make hits and heroes, the entertainment sector figured. Meaning that, politics in campuses and community centres apart, socio-economically marginalised youth forced one of the most powerful industries to somewhat succumb to their aesthetic sense and political convictions. The hashtag #OscarsSoWhite began to trend on Twitter starting February 2017. As the Twitterati debated racial discrimination in Hollywood, in a small ghetto Kammattipadam in Eranakulam district of Kerala a tall, dark man was getting ready for his film discussion. Vinayakan smiled at the thought of the Kerala State Film Awards. When he won the Best Actor in March 2017 for his performance in the film Kammattipadam he pointed out, “Behind the public discussion around this award there is some sort of mass protest. In my opinion, that agitation is neither about films nor about me...It started somewhere in Delhi and reached all the way to my home. It is the protest of youngsters and I believe intelligence (agencies) knows about it”. His cryptic statement stumped most, but Vinayakan’s riddles did have answers. When I called him to arrange an interview a few days after he won the award Vinayakan asked me point-blank, “Who will benefit from this interview?” It was a question which his father Kuttappan, a Dalit man who lived his life as a real estate agent, taught him. “My father asked me not to be gullible. He also asked me to wear clean white clothes. I follow both even now,” Vinayakan – the first Dalit man, a Pulaya, to win the best actor award in Kerala – explained when I met him at his cushy flat in a gated community located behind Jawaharlal Nehru Stadium in Kaloor, Ernakulam. His family still owned the single storied house in Kammattipadam, a Dalit ghetto located in a back alley of Kochi Corporation. As Vinayakan spoke, unfettered and eloquent, it was easy to see why youngsters in Kerala’s slums, semi-urban settlements, and cosmopolitan multiplexes celebrated his win by bursting crackers, and singing the song Puzhu Pulikal he composed for the film. “Awareness is of prime value. Tribes (deprived population) should never control the money, that is what the system teaches,” Vinayakan, a follower of Ayyankali, the Dalit social reformer of Kerala said. Youth who rooted for him knew that he had taken control of capital. “When I arrive I would like to arrive in a Ferrari. That is what Comrade Ayyankali taught,” he told me just minutes after stating he believed in Vastu Shastra and Shiva’s thandava. The actor had made a dent in the Indian film industry which made 1,500 to 2,000 films a year, grossing USD 2.1 billion in December 2015. On the internet, he was declared the man who singlehandedly wrenched the best actor award from the hands of Mohanlal, a Nair (dominant caste) mega-star who had reigned as a hero for five decades in Mollywood. The 43-year-old, who triumphed on the silver screen where decades of Nair-Menon cultural images flashed, represented the influence which the surging public exerted in modern India. Altering mainstream psyche they facilitated the arrival of certain actors, dialogues, and scripts in the lm industry, even as they opposed misrepresentation. This was an opinion-making public who made super star Rajinikanth play the Dalit character, Kabali, in Pa Ranjith’s film of the same name. The film, which grossed Rs 650 crore in global box office returns, established the young director Pa Ranjith as a Dalit icon of success. Vinayakan was one actor who spoke of this evolving culture in his self-styled cryptic aphorisms. In our conversation he said, “Dhanush (a Tamil film actor) said something which I too believe. Only five per cent of people look like the existing heroes in Indian lm industry; the rest, 95 per cent of the population, look like Dhanush and me. They will buy the tickets.” Ambedkar Students Association of University of Hyderabad tried to arrange special buses for Kabali fans to reach theatres where the film played. Vinayakan’s calculation is right if one were to take into account the struggle of 40-year-old Nawazuddin Siddique who constantly referred to himself as kala-kaluta admi, the scrawny dark guy. Nawazuddin got his first break in 2012, a time when the new public culture had begun to influence representation. It was evident that, in the twenty-first century, assertive politics of the oppressed, which had gained momentum in the nineteenth and twentieth centuries, became too visible in discourse and praxis to contain it within designated margins. After the year 2000, youth from the margins fought for constitutional and human rights by invoking demonstrative opposition similar to those employed in civil rights movements across the globe. While Rosa Parks’ 1955 agitation against racial segregation in Montgomery, Alabama was accompanied by jazz music and gospel hymns, in India political assertions of the oppressed throbbed to the beats of leather drums, Takbir calls, Jai Bhim salutes, church bells, and Buddhist chants. In public functions where suppressed cultures of food, music, and religious practice were spread out for anyone to see, notions of political behaviour considered appropriate by dominant (liberal or conservative) sections was continually challenged. Here, almost all that had dominated public opinion in India, including historical figures like Mohandas Karamchand Gandhi and Vivekananda were criticised. With the hashtag “#SongsofResistance”, a song sung in a small mehfil in Uttar Pradesh right before the 2017 assembly elections, stated the difference between Mohandas Karamchand Gandhi’s Harijans and Bhimrao Ramji Ambedkar’s Dalits: “Roz savere mandir jata, rakta hei mangal upvas...Bheemrao ka Dalit Nahin he, Yeh Gandhi ka Harijan hei” (The one who goes to the temple each morning and observes the Tuesday fast, is not Bheemrao’s Ambedkar’s Dalit but Gandhi’s Harijan), young chroniclers of history sang. A new language of politics, which was as much transformative as it was confrontational and irreverent, had emerged to challenge the mainstream. The youth who championed this articulation were innovative in ideas and fearless in expression. 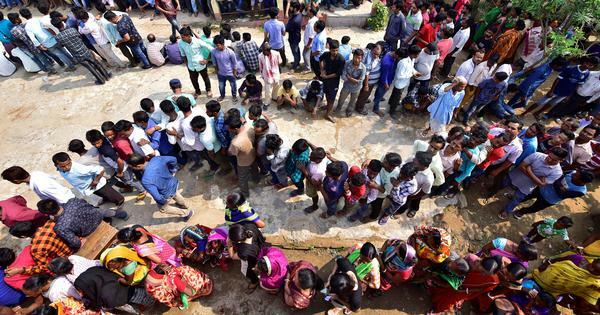 Though criticised for being self-indulgent, emotional, or rhetorical, cultural expressions of all kinds converged or overlapped with protests of varied hues to become an agitation which challenged the existing order of politics. 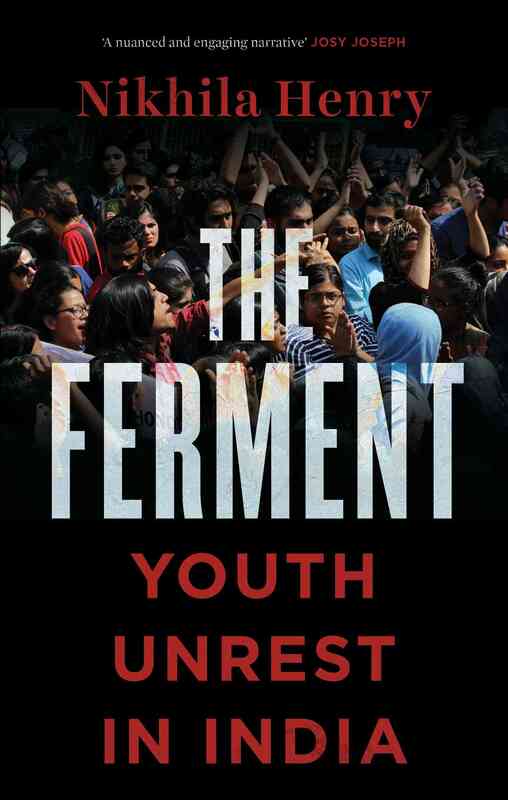 Excerpted with permission from Ferment: Youth Unrest In India, Nikhila Henry, Macmillan India.